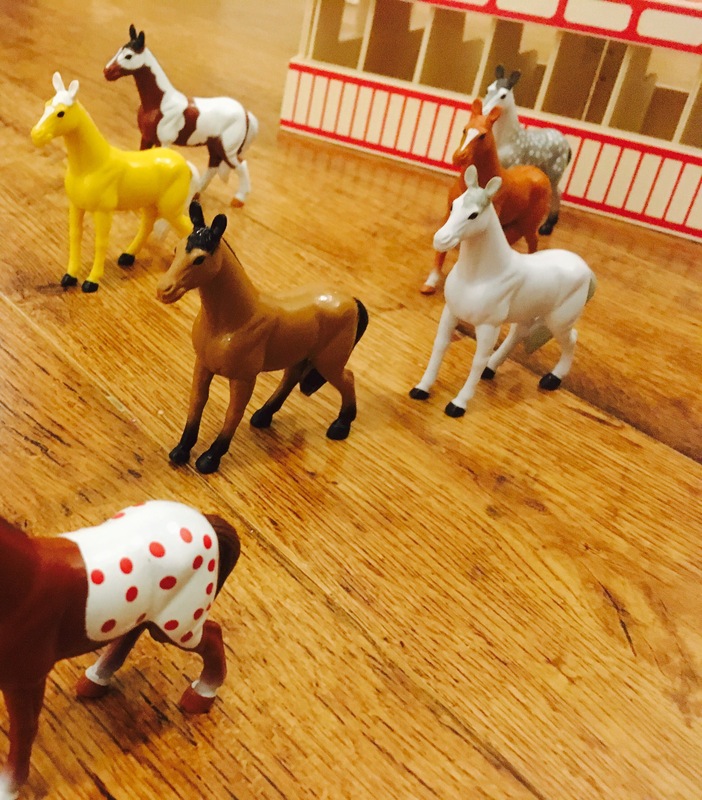 This week we’ve been playing with 8 absolutely gorgeous, toy race horses that come complete with their own stables. 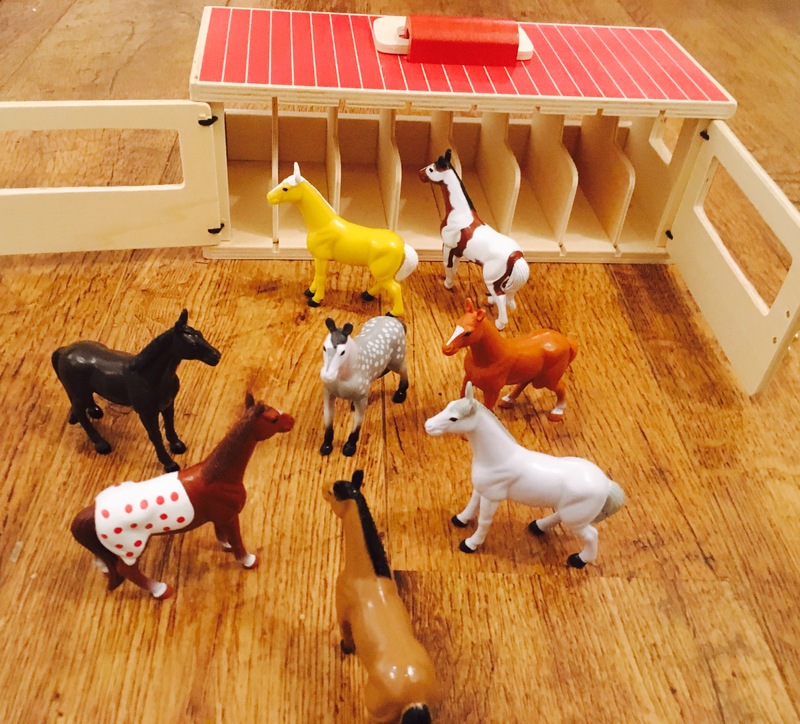 What did we like about the Melissa & Doug Take-Along Show-Horse Stable Play Set? 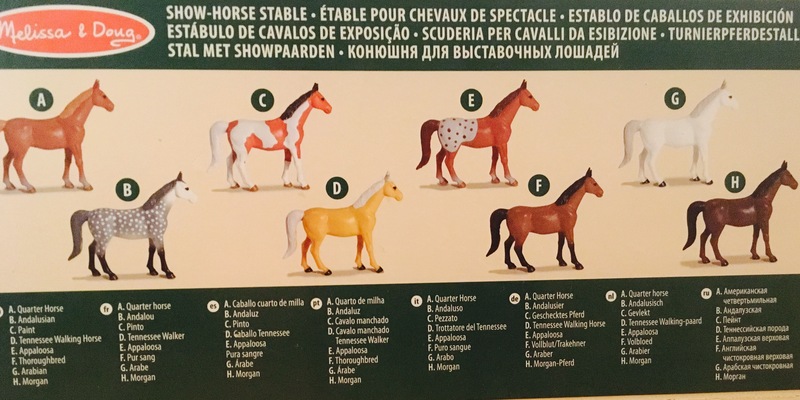 Unique– What a wonderful idea race horses with stables is for a toy. The children loved how different it is to all their other toys- they’ve definitely never played with anything like it before. It also stimulated discussions about and learning of horses and the different breeds, what horses eat etc. Underneath the stables there’s even a handy guide to the breeds of the horses included to support learning. 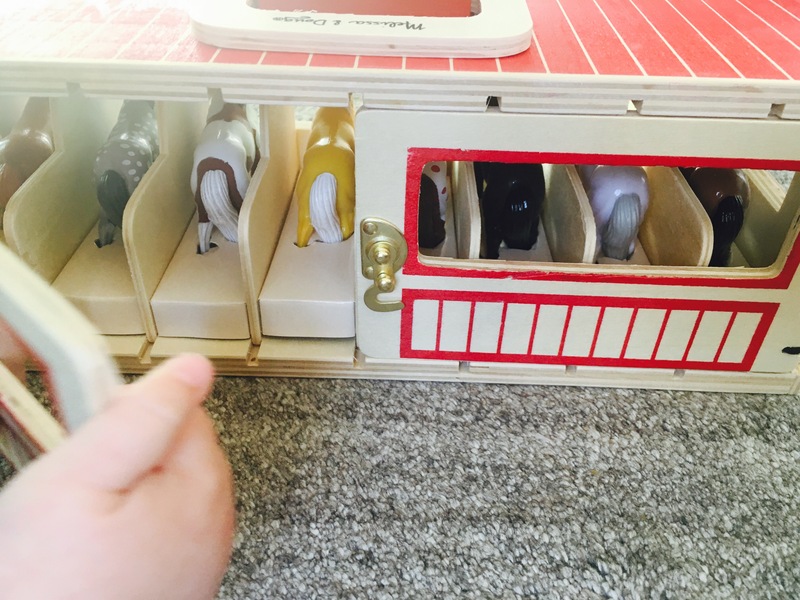 High Quality-We love that the stables are wooden and have a real metal latch. The toy is made beautifully and looks durable…allowing for plenty of hours of play! Develops Imaginative Play-Imaginative play is wonderfully important for children. It helps them to make sense of the world we live in. (Find out more about Imaginative Play here) This toy is fantastic for encouraging children to play imaginatively. 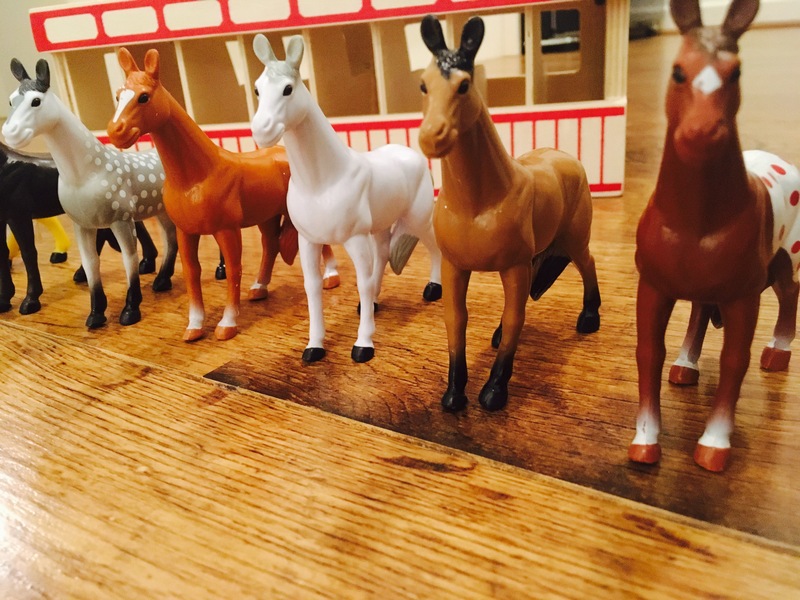 We’ve been racing the horses, taking them back to the stables and even ‘feeding’ them! 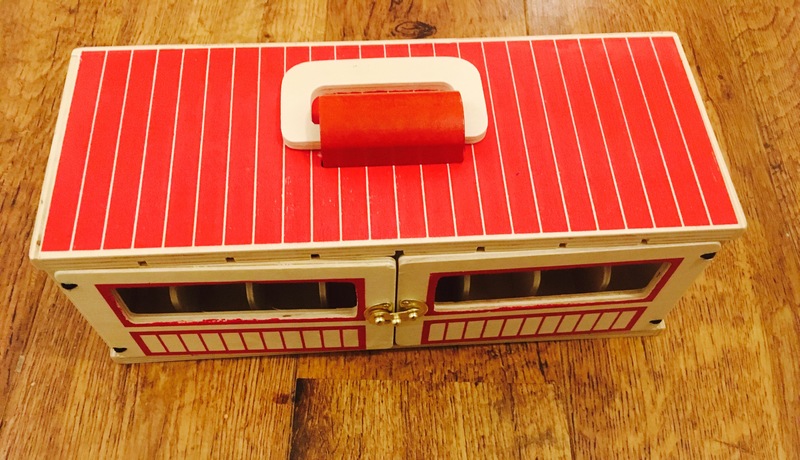 Practicalities– I’m a big fan of toys that have a carry case and can be packed away so that no parts go missing! So this one ticks the boxes for practicalities.